Bob is a Pastoral Counselor as well as a Licensed Professional Counselor/Associate. He holds a Master of Arts in Professional Counseling from Liberty University, a Master of Arts in Public Administration and a Bachelor of Arts in Religion, both from Auburn University. Bob retired in 2016 after serving 30 years in public safety, including 23 years as a police officer in the upstate. He became interested in counseling while serving as a volunteer in peer support and crisis intervention for law enforcement personnel. As his interest in counseling grew he joined the care ministries department at his church and began volunteering as a lay counselor. This growing interest led him to return to graduate school and to retire from law enforcement in order to go into counseling full time. 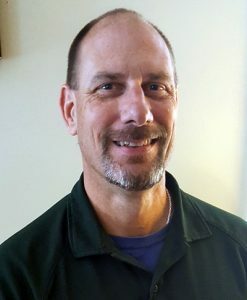 In addition to his practice at North Main Counseling, Bob is a member of two crisis response teams and continues to be active in his church in care ministries and missions. Bob works with individuals, couples, and adolescents. He works with mental health issues including anxiety, depression, anger, despair, grief, trauma, life transitions, relationship conflict, and other common struggles. Although Bob employs a variety of strategies in his approach to counseling, he places a strong emphasis on helping clients find meaning and purpose in life. In this regard, Bob takes a holistic approach to counseling and helping clients develop a vision of hope beyond their current struggles. Although Bob is a Pastoral Counselor, he respects everyone’s faith and beliefs. Faith-based counseling is an option, but only if the client requests this approach. The International Critical Incident Stress Foundation: Certified Instructor for Assisting Individuals in Crisis and Group Crisis Intervention courses.